Google+ Archives | Androidability | Android tips, tricks, and technology for better ability. Oh, Google. You and your little tricks. Dunno how old this is (Update: Ah, since March or so. Cool. 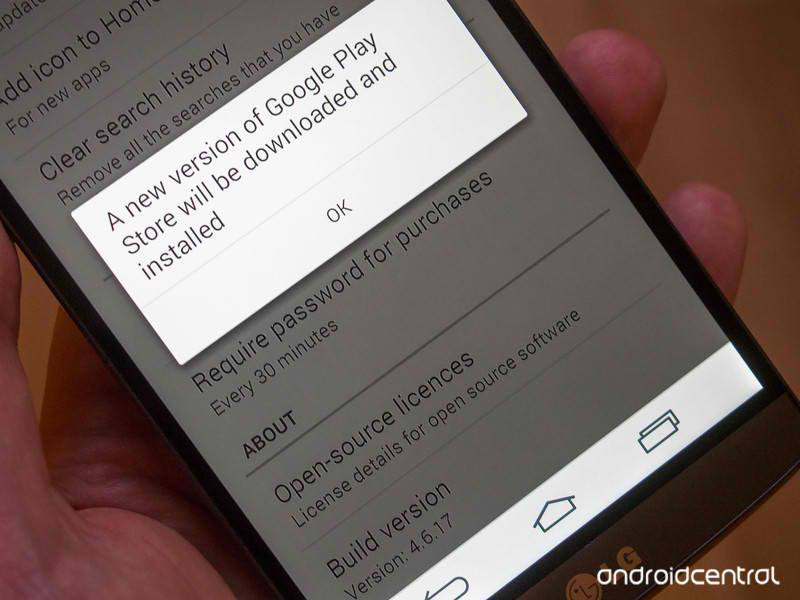 ), but apparently there’s a neat little trick to forcing your Google Play Store app to check for an update. No installing apk files from who knows where. No waiting like a peasant. Just a couple taps of a button. Open the settings menu in the Google Play Store app. Scroll all the way down. Tap on the Build Version section. We presume there’s a little more back-end magic to it, but whatever. We now have a “check for updates” button, and we’re going to mash the hell out of it. Props to +Phil Edge for pointing it out and for having an awesome name. And props to +Russell Holly for the act of headline savagery. And props to Google for remembering to have fun with its operating system. This is a two-part question: how to download your own content on Google Play, either uploaded or bought, and how to listen to music offline (we recently shared how to save radio stations for offline listening too). 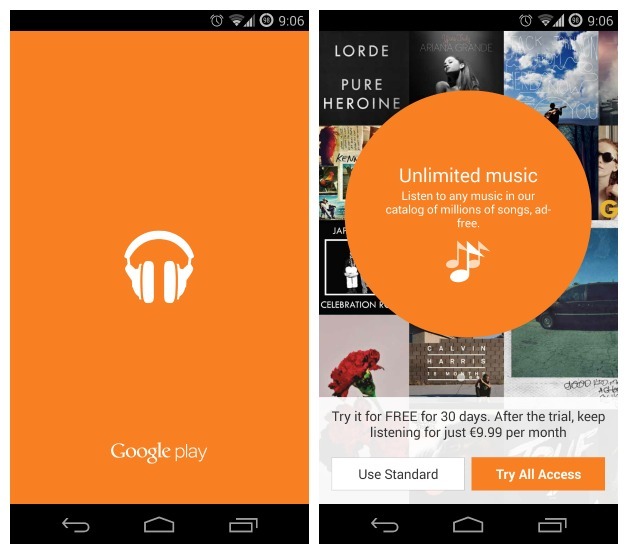 Google Play Music is a one-stop shop for many of us, and it certainly covers a lot of the bases for streaming music and paid purchases. But sometimes you really just need to have some music on your local storage. Here’s how to do it. Note: not all Play Music features are available in all countries and some require an All Access pass. In this case, any downloaded content will only remain on your phone while your subscription is active. 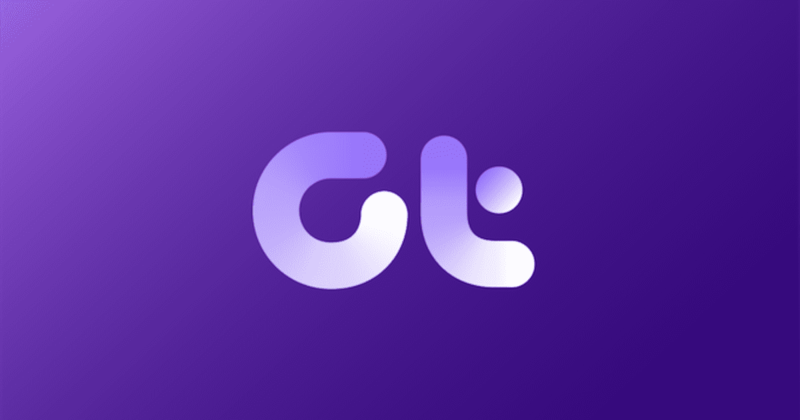 If you’ve previously stored your own collection of paid or uploaded content in the Play Music’s locker, you can grab it again anytime you would like. Go to Auto-Playlists and into Free & Purchased. Whenever you play a track from this list, it will be cached and available even when you’re offline. If you clear the cache in the Play Music settings or in your Android settings menu, you will lose the songs from your device (as it has not actually been downloaded). While this is not technically downloading, it is a handy trick. If you want to download for real, you’ll need your computer. Simply find the track or album you want in Free & Purchased (in the web-based Play Music) and click the overflow button (three stacked dots) and then Download. That’s it – you can then transfer it to your Android with a USB cable or wirelessly as you normally would. Please note that you can only download a track twice. If you want to download multiple items at once, just hold shift when you click the titles and then right click to bring up the menu with the Download option. You can also install Google Play’s Music Manager on your PC if you want to download and manage your entire collection. Shared music cannot be downloaded however. 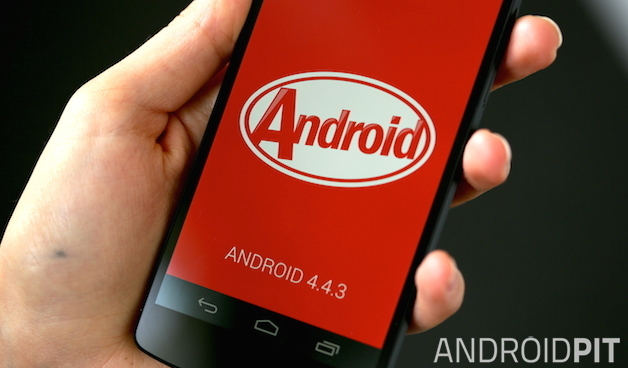 The wait is over and Google has finally begun the roll-out of Android 4.4.3. The update itself brings mostly just bug fixes to various devices but also boasts a visually redesigned phone app. If you’re just chomping at the bit to get the update and don’t want to wait for the OTA update to hit your phone, we’ll show you how you can do it manually. By doing this update, you’ll be updating your Nexus 5 to build number KTU84M and as such, you’ll need to have a Nexus 5 with a build number of KOT49H prior to doing this. To check what version you have installed currently, go to Settings > About Phone > Build Number. The device that people use to take a majority of photos is their phone. Even when smartphone cameras weren’t that great it was still better than lugging around a camera. The result of this convenience is people carrying around all of their personal photos everywhere they go. That makes losing them all that much easier. Luckily there are plenty of ways to back-up your photos for safe keeping. A popular method for Android devices is through the Google+ app. We’ll show you how. If you’re not already signed in with your Google account it will ask you to do that now. When you are signing in for the first time it will ask if you want to automatically back-up your photos. You can enable it right there. If you haven’t already done that, or you want to adjust the settings, follow the steps below. Tap the Menu button in the top right corner and select Settings. On the next screen select Auto Backup at the top of the screen. Now flip the switch in the top right from Off to On. 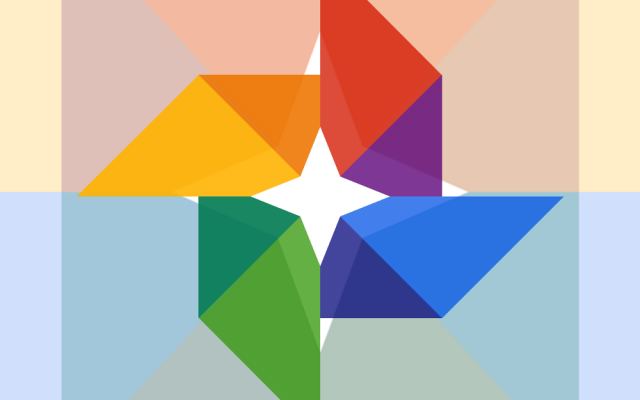 So, without further ado, here are some great and simple ways to make the most of your Google+ photos. Auto Backup is a simple way of making sure you never lose your phone together with your images again. 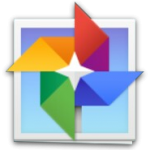 The best thing is that you can back up an unlimited amount of photos and videos to your Google+ account. The only conditions are that your photos’ height and/or width is less than 2048 pixels or, in the case of videos, that they are less than 15 minutes in length, with a resolution that’s smaller than 1080p. If your content is larger than those sizes, it will count towards your storage quota. You should keep in mind that Auto Backup uploads full size by default and, while your phone’s camera may not capture 1080p video, it almost certainly captures images at a larger size than the one in the Google+ specifications. 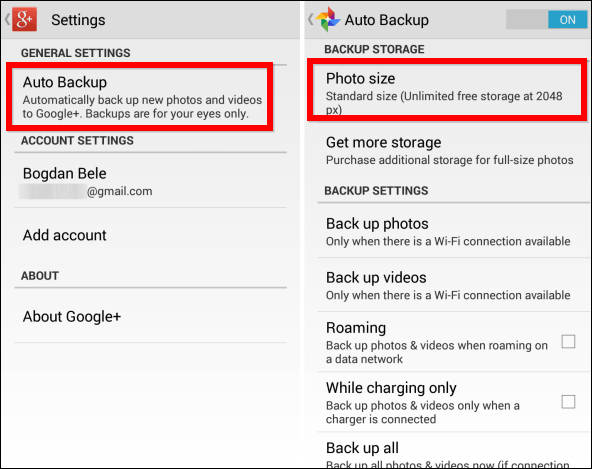 If you want to backup unlimited images, go to the Google+ app’s settings on your Android or iOS device and make sure you have it set to Standard Size. You can turn Auto Backup on or off in the same settings menu; in the iOS version, you will be required to allow Google+ access to your photos. A new version (4.1) of Google+ is rolling out to Android devices over the next few days and it’s full of new features, enhancements, and more. A post from Google’s Virgil Dobjanschi tells us that the app now plays better with pages and account switching, integration of other Google services, and pull-to-refresh. Of course, it’s not all “new and additional features” as Messenger is being pulled from the app. 1. Account and page switching is a lot easier Just like Gmail for Android, you can now switch between multiple Google+ accounts with a couple of taps (vs. signing out and signing in again). And the Google+ pages you manage are likewise in the app menu at all times. 2. Google Apps for Business features are now fully supported If your Apps administrator has enabled Google+, you can now share content publicly, with your circles, and/or with just the people in your organization. In addition: you’ll know at a glance whether someone’s profile is part of your Apps domain. Google announced the Android Device Manager a little while back and since then we have seen bits and pieces of the puzzle coming together. Settings began showing up on Android devices earlier in the week and as of today the tracking website has gone live. This isn’t the complete setup just yet, but for now you can track, ring and erase a lost device from the web. Those looking to get started should launch the Google Settings app on their tablet or smartphone. Once here look for the Android Device Manager option and make check the appropriate boxes based on your wishes. There are two options available; the first is to enable remote location and the second is to enable remote factory resets. Google has now announced the Android Device Manager, a new website that will help users find their lost phone or tablet. Accompanying the website will be an installable app that is set to roll out later this month. The company has made this service available for all devices running Android 2.2 (Froyo) and above. While details about the Device Manager are still minimal, Google has said that some of the features expected include the ability to make your phone ring at maximum volume so you can find it, even if it may have been silenced.